Microsoft Office 365 includes all popular Microsoft tools, such as Word, Excel, PowerPoint, Outlook and many others. As part of the Office 365 suite of products, you get email with Exchange Online, including calendar and contacts to be shared among members of your team. You can be sure they will always be up to date – on your mobile phones too. One Sky’s Office 365 solution brings together email, calendar, Office tools and file sharing. Communicate and co-operate throughout the company more effectively, thanks to OneDrive file handling and online video meetings and facilitate your communication with clients and colleagues via Lync/Skype for Business. Office 365 communication suite is probably one of the best solutions available for your company’s e-mail, calendars, and chat needs. It brings everything together in one place, offers ease of access, an automatic backup functionality and no need for running updates – leave it to Microsoft, they run them automatically. One Sky will help you to setup your Office 365, including e-mail accounts and multi-level folder sharing, e.g. for operational or administration staff, management, subcontractors, or private use. We have extensive expertise in transferring data to Office 365 from other e-mail systems. Benefit from this service and get a truly flying start with Office 365. If apart from Office 365, your company needs a virtual server, e.g. to be used with your internal accounting application (such as Navision or other), or sensitive documentation sharing functionality, One Sky offers a Virtual Private Server (VPS) solution integrated with Office 365. The solution can be fully configured to match your individual needs. You can reduce operational and maintenance costs, as well as eliminate wages for internal IT staff. 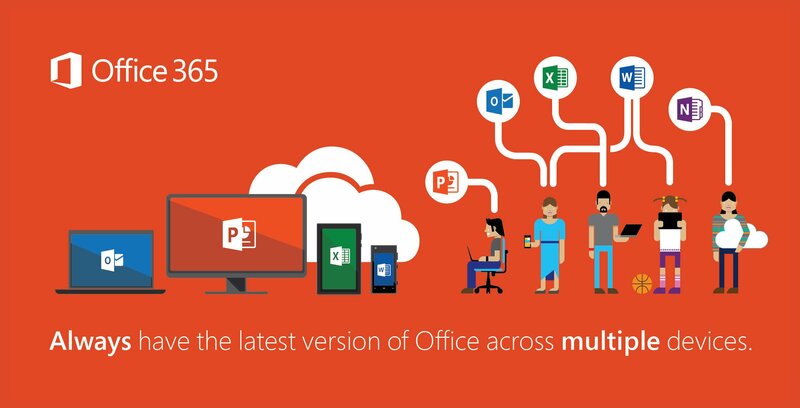 With Microsoft Office 365 and IT Support from One Sky you get the office of the future – today!